Mrs. Fenwick has a tool called a 'Hoof pick.' A hoof pick is to help her clean out Lena and Peppy's hooves. It is a metal tool that helps to scrape out dirt and rocks. It looks like a stick with a hook at the end. 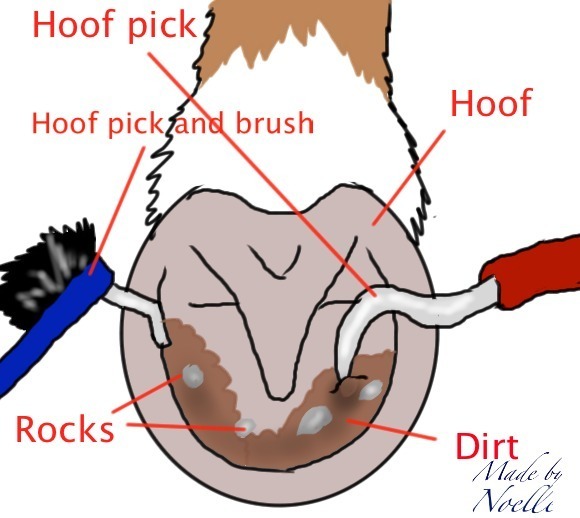 There is another type of hoof pick that has a brush as well as the pick. he brush is to help dust off any extra dirt. You have to scrape the dirt and rocks one direction so you wouldn't pinch the horse. You have to push out towards the ground, not up into hoof. You really have to be careful when you do it. 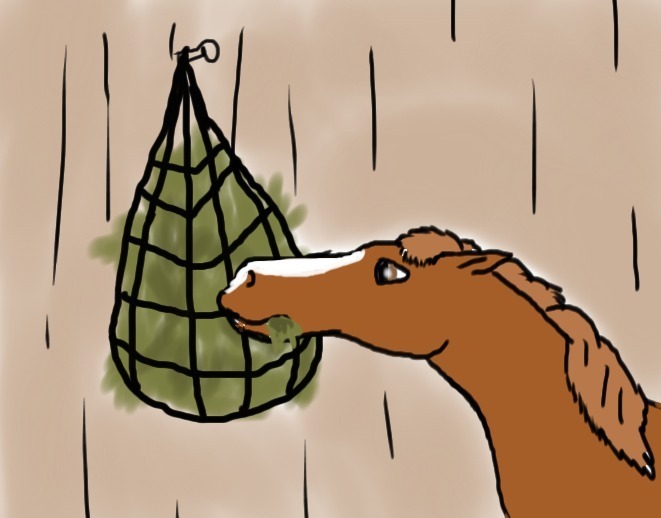 A hay net is a net that has hay in it. You don't have to use a hay net. But Mrs. Fenwick does and it is much better if you do. If you just put the hay on the ground, the horse might step all over it or even poop on it. That is bad for it to eat and it could get sick. So it is very smart to use a hay net. The reason it has the net part is because the horse might pull the hay onto the ground if it was a bucket instead. The nets let the horse work for the food. And there would be only a little bit of hay that falls on the ground. It may look hard for the horse to get the hay, but it isn't really.